What's the best equipment for leg exercises? 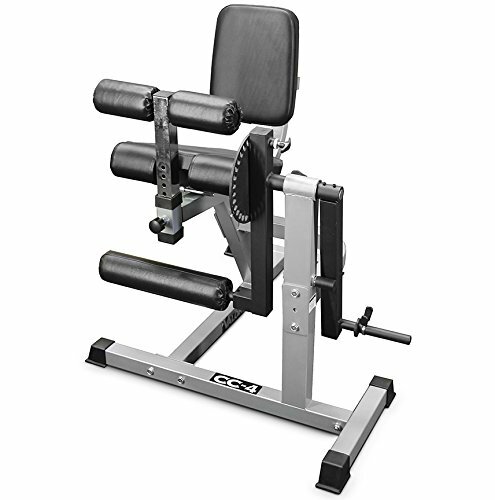 The Valor Fitness CC-4 allows the user to perform two key leg movements while staying seated in the same location - Leg Extensions for quadriceps and Leg Curls for hamstrings. The CC-4 comes with an easy to use "sun dial" adjuster which allows the user to increase the range of motion to accommodate as well as determine when resistance is applied. This feature is accessible on both the extension and curl function. The back seat rest can be adjusted forwards or backwards depending on your body size. Once in place there is an adjustable thigh support that allows your legs to be held in place during your leg curl exercise. This padded support bar applies pressure on your thighs which will keep your legs firmly in place allowing your hamstrings maximum performance during your work out. Warranty: 3 year frame, 2 year pads, 1 year popper pin.